With the current weather and testing ban limiting rider’s track time, Ray and Stapleford have been busy working on their physical condition before jumping on their GSX-R1000R superbikes for the first time in 2019. But to further fine-tune their training regimes and ensure they are working on the right areas, the pair were put through their paces at one of the world’s leading sports universities. 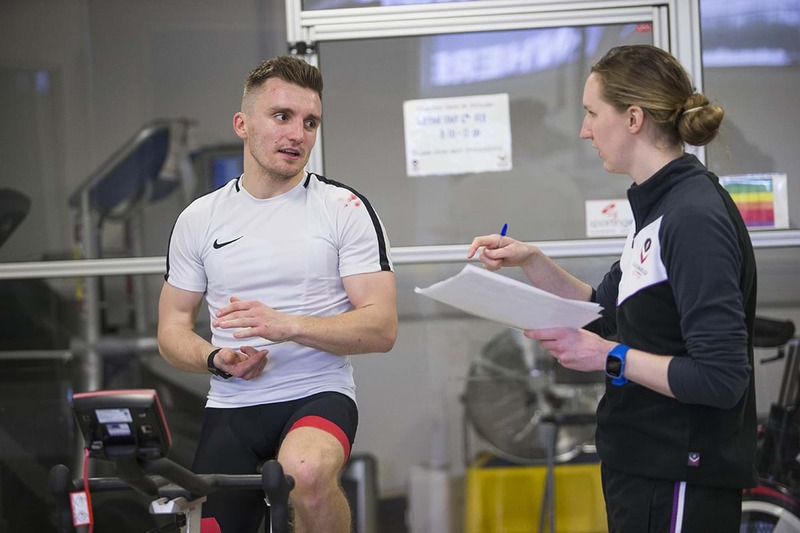 Rhona Pearce, sports science manager at Loughborough Sport, said, “The fitness tests on the SRM bike basically gives us a complete picture of their current fitness levels, and having that information ensures that they can go away from here and ensure that their training is appropriate. If they don’t have that data they’d just be training and hoping they were working on the right aspects. Now they can tailor a specific programme to their needs. 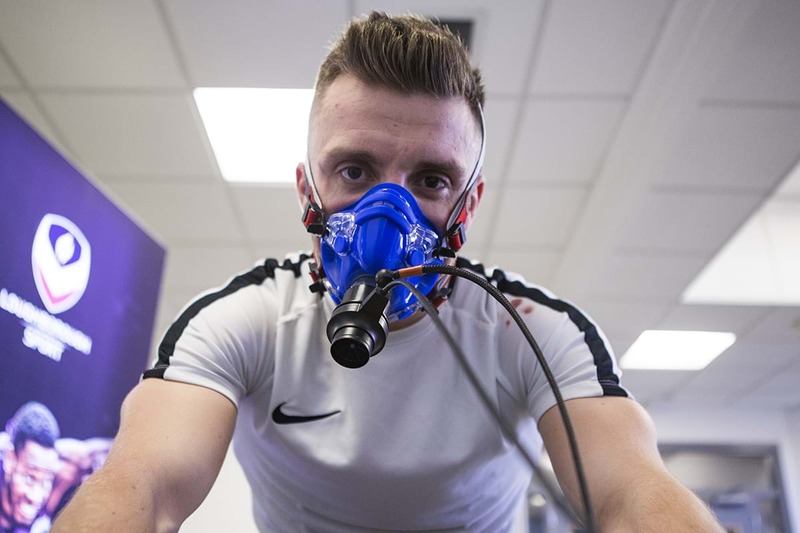 "We essentially test their VO2 max – which is the greatest amount of oxygen they can take in and use and acts as a bit of a general indicator into their aerobic fitness, their endurance fitness, if you like. We then carry out a sub-maximal test which shows us how much of their maximal capacity they can comfortably use. This is where it depends on their training programme and the type of training they’re doing. For instance, short, high-intensity efforts will mean they’ll probably have good maximal physiology but likely won’t have a good aerobic base or good endurance levels of fitness. 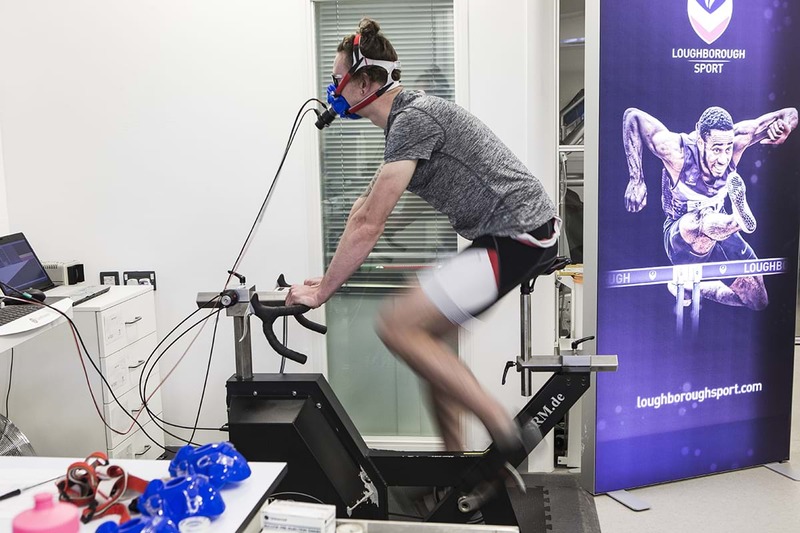 "There are lots of variables in motorcycle racing – not least of all the bike and conditions – but we tend to see that riders with a higher VO2 max are competing at a higher level. But good sub-maximal fitness is also important as it helps recovery between efforts, so between training sessions or races. The data from today will help them train the aspects of their fitness that are weaker or where there’s more room to improve. And ultimately, it will hopefully correlate with results on the race track." With the British Superbike Championship more competitive than ever, both Ray and Stapleford put a lot of emphasis on their physical fitness, and are also keen to point out that there’s more to racing a motorcycle than sitting on the seat and twisting the throttle. Ray said, "It probably looks easy, or easier, from the outside looking in, but when you’re on the bike and you’ve got to be inch perfect corner by corner, lap by lap, you’ve got to be in the best physical condition. I use my body weight a lot when I ride; I hang off quite a bit and move my body to help turn the bike, help keep the front down on acceleration, so you’re moving about all the time and it means I use my legs and upper body a lot, and you certainly feel it for a few days after a race weekend. "BSB is really competitive and physical fitness is a big part of racing these days, you’ve got to make sure your body and also your mind can go the distance in a race and that you’re not giving anything away to your competitors. Spending the day with the team at Loughborough has given us a better insight into our fitness and how we’re performing physically, and means I can work with my trainer to improve in key areas and hopefully have a bigger advantage when we’re racing." Stapleford added, "One of the main reasons I actually train is a lot to do with mindset, as well as physical fitness. I use training as a tool to also make sure my mind is focussed and I’m prepared for the next race weekend, and when I line up on the grid I know I’m in as good a shape as I can be and I know there’s no one out there that can beat me, physically. "But from a training point of view I try and have a balanced training routine, and from an activity or sports perspective I don’t tend to focus on one thing. I know some riders are really keen cyclists, for instance, whereas I do a lot of different things. It also keeps it a bit more interesting as well. But it’s all important because when it comes to riding I, like Brad although probably for a different reason given my size, use my body a lot and I have to climb across the bike quite a bit and you do know about it for a few days after riding, and I think racing is a lot more physical than maybe some people realise. 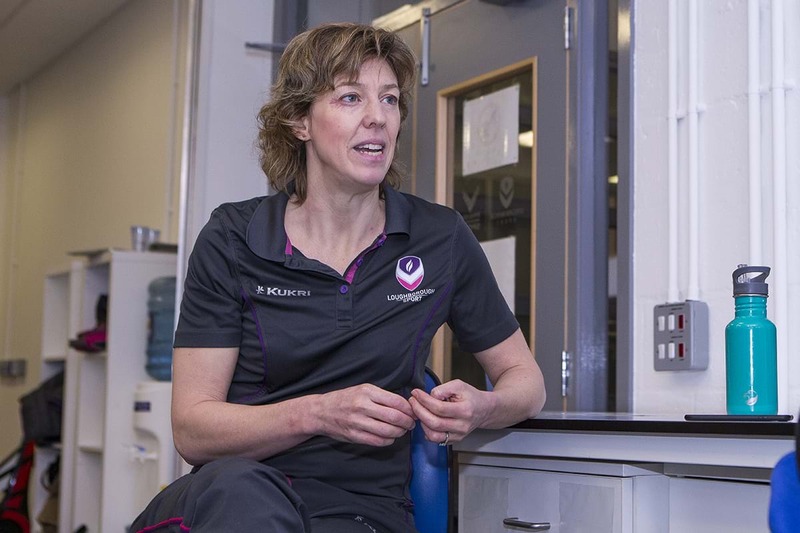 Hopefully a day with the team here at Loughborough will help me improve and my fitness further and give me an edge on race-day." Rhona Pearce also added, "When you work with riders like Luke and like Brad, you do realise that they are very fit and the physiological demands of the sport are very high. 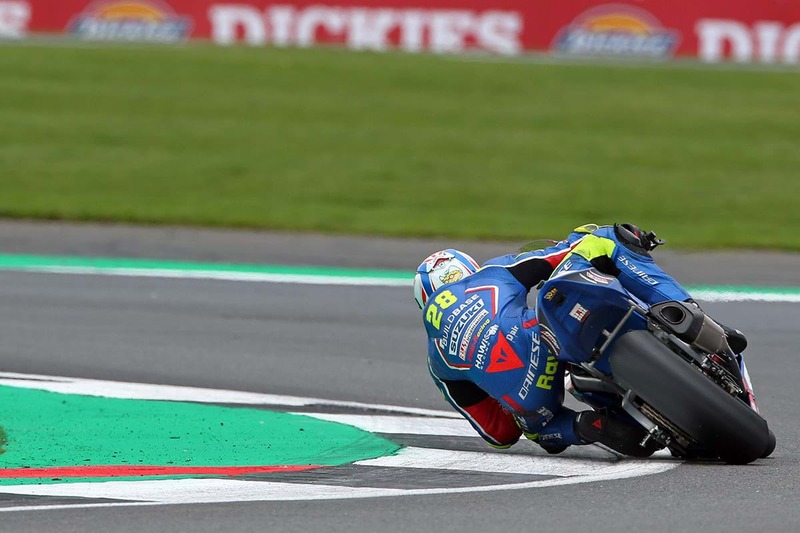 Fitness is taken a lot more seriously in motorcycle racing than it perhaps used to be, and the fittest riders are on par with some very good endurance athletes. Something that would probably surprise a lot of people." Despite the ever-increasing emphasis on physical fitness, there's still nothing like riding a motorcycle and being bike fit. Stapleford explained, "It's good to be fit but you just can't replicate anything to do with riding a motorbike in the gym, and you can't dial your head in or use muscles in the same way. It's why I like to get out on the motocross bike and just ride because there's nothing like it. You can be as fit as you like but it'll never be the same." Ray agreed, saying, "The first time you get back on a bike after winter, even though you've been training all the way through and can be in great shape, you get off a bike after your first session aching, because, as Luke says, you can't do the things you do with your body on a motorbike anywhere other than on a motorbike."